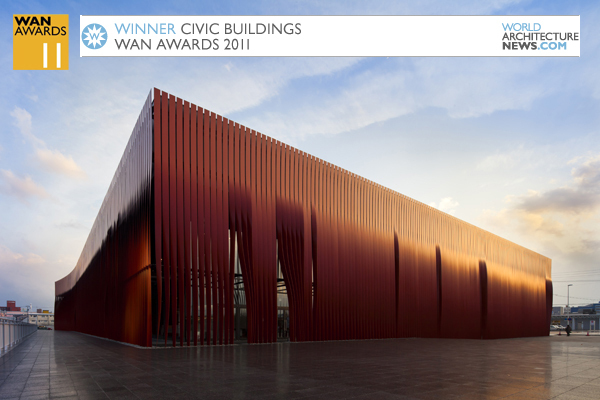 Nebuta House (Nebuta-no-ie Warasse), a museum and centre for creative culture in Japan wins the completed category of this year’s WAN Civic Buildings Award. 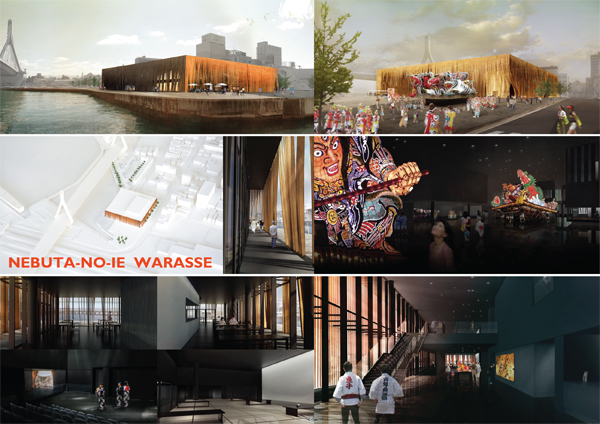 The WAN Civic Buildings Award, completed category has this year been awarded to molo, d&dt Arch and Frank la Rivière Architects Inc. for Nebuta House (Nebuta-no-ie Warasse). Nebuta House is a museum and centre for creative culture in the Northern Japanese city of Aomori and is inspired by the craftsmanship and spirit of the Nebuta Festival. The Civic Buildings Award celebrates and promotes the best in international architecture for public use, attracting entries from all over the world. Fittingly the panel of judges was a highly experienced group who understand the complexities and opportunities in this sector. The jury included Lady Patricia Ann Hopkins – Co Founder of Hopkins Architects, Miles Delap – Partner at Gardiner & Theobald, Keith Williams – Founder of Keith Williams Architects, Morten Schmidt – Co-Founder of schmidt hammer lassen and Ralph Johnson – Design Principal at Perkins & Will. and Associates for their impressive tourism bureau on Sun Moon Lake in Nantou County, Taiwan. It was from this exceptional shortlist Nebuta House (Nebuta-no-ie Warasse) in Northern Japan was crowned the deserved winner. 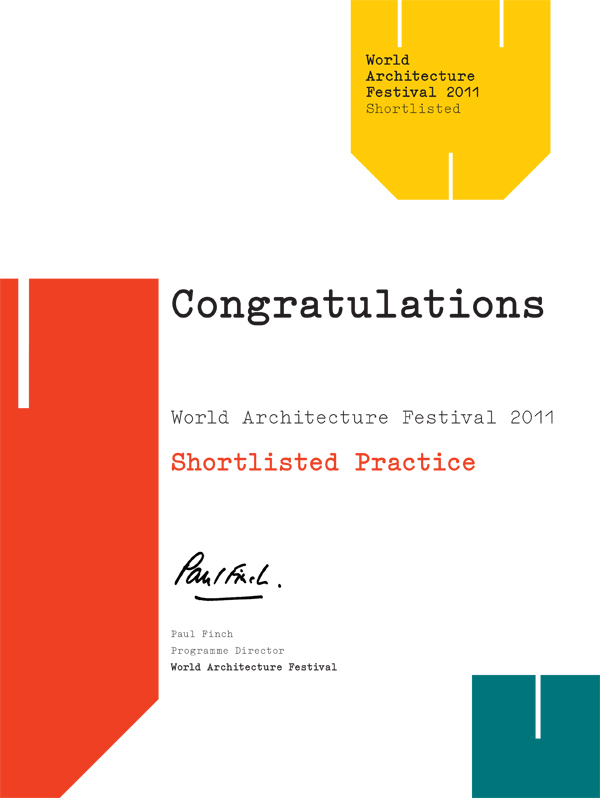 A number of incredibly strong entries had the judges struggling to come to a shortlist. On reaching this shortlist they agreed that the civic submissions on the final list all offer hope and spirited design that encapsulate the very meaning of the term ‘public space’. A number of schemes were praised for their easy integration into the surrounding landscape; JDS’s Holmenkollen Ski Jump was singled out for this purpose, alongside Bunker Arquitectura’s Sunset Chapel, both prominent figures in their communities yet sympathetic to the surrounding flora and fauna. AND Metropolitan Arts Press, Ltd. The program is one of the Museum’s most important public education outreach initiatives produced throughout the year—to the Museum’s international audience. The International Architecture Awards are dedicated to the recognition of excellence in architecture and urbanism from a global point-of-view. The program pays tribute to new developments in design and underscores the directions and understanding of current cutting-edge processes consistent with today’s design thinking. This year’s program honors new (2009-2012) corporate, institutional, commercial, residential architecture, interiors, and urban planning, designed for both built and unbuilt projects alike. Bulanda Mucha Architekci Sp. z.o.o. Retail & Leisure Category Winner – Nebuta-no-ie Warasse, Aomori City, Japan, designed by molo Japan kk & d/dt Arch Inc and Frank la Rivière Architects Inc for City of Aomori. The Nebuta House is designed to exhibit Nebuta art (huge paper creatures, warriors and demons) during the annual August festival. A screen of twelve meter tall steel ribbons encloses an outdoor walkway, intended as a threshold between the mythical world inside and the contemporary city outside. The judges felt that Nebuta House was a joyful and elegant response to the whole idea of display, with the restraint of the frozen wrap of the architecture a perfect foil to the exuberance of the Nebuta figures inside. The Awards will be presented during a special celebratory dinner held in Cannes on 17 March 2010 during the MIPIM market, an event that has become one of the hot ticket evenings of the MIPIM week. There will also be a permanent exhibition of all entrants on display on the London Stand, and all winning and commended schemes will be published in the official catalogue which is distributed to all registered MIPIM delegates. 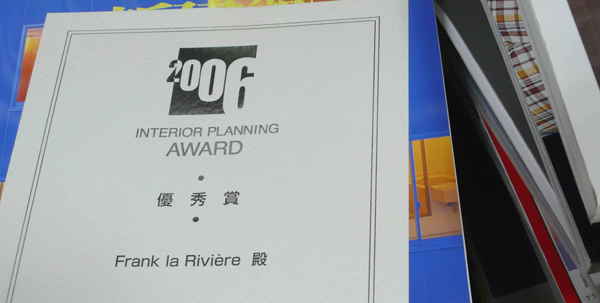 On September 20th 2006 Frank la Riviere received the Interior Planning Award for [Y-House].